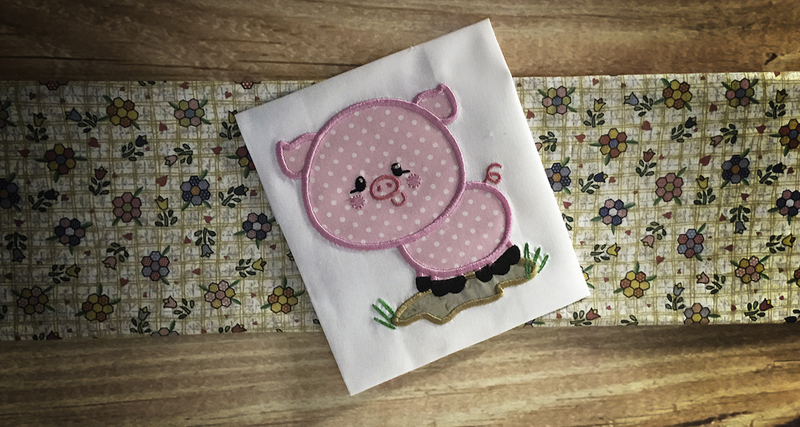 Design Spotlight: Farm-Themed Sets / Designs By JuJu Embroidery Blog! Do you know someone who loves the farm?? We have so many adorable farm-themed sets available on our site! We put this blog post together to show you some of our favorites. 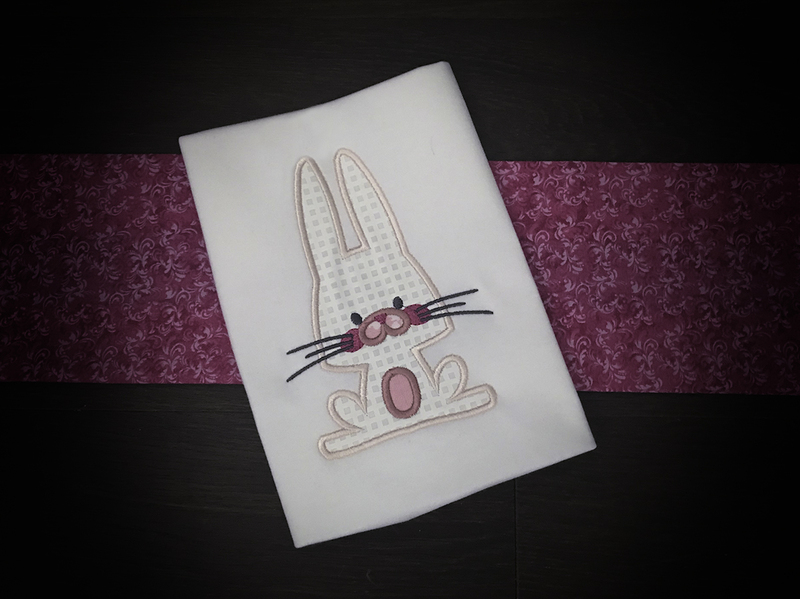 These adorable sets are perfect for customizing quilts, t-shirts, bags & more! Our On the Farm Word Art 1 includes 9 adorable farm-themed designs that comes in 4 sizes: 4x4, 5x7, 6x10 and 8x8. Perfect for all of your farm-themed projects! Haven't had enough Farm Word Art yet? Our On The Farm Word Art 2 includes 8 more farm-themed designs perfect for your upcoming projects! Looking for a farm-themed applique alphabet? Look no further! Our Farm Applique Alphabet comes in 6 sizes & includes letters designed like cows, carrots, chickens & more! This alphabet is perfect for personalizing all of your farm-themed projects. 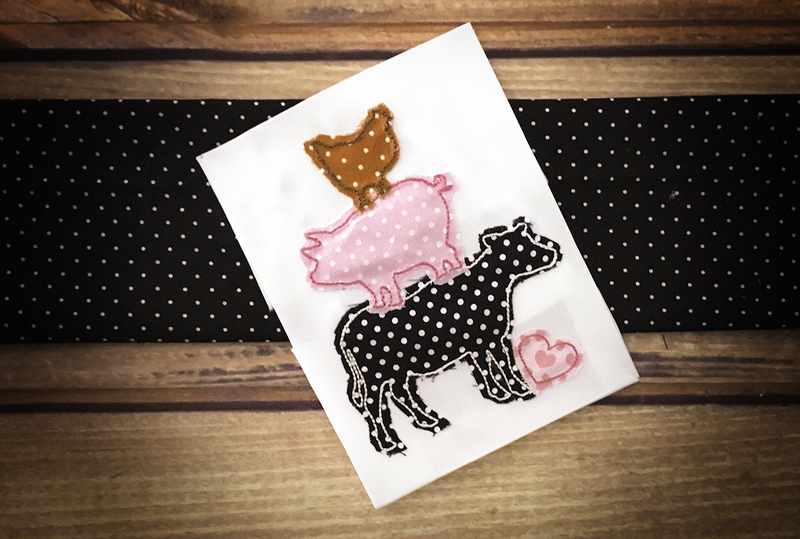 How cute is this Boxy Farm Animals Applique?? This set includes stipple blocks for each and 9 sweet "boxy" shaped animals in applique. 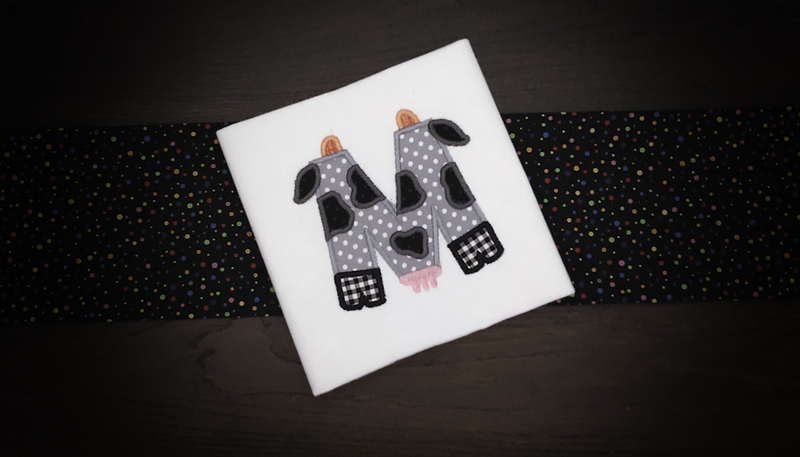 These cute little farm animals are perfect for making anything from pillows, pjs, towels & more! 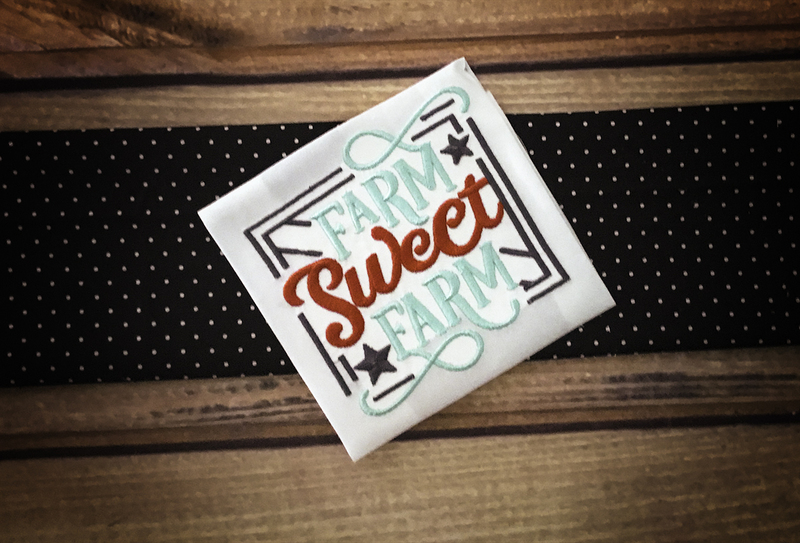 And we can't forget about our customer favorite, Sweet Farm Applique! 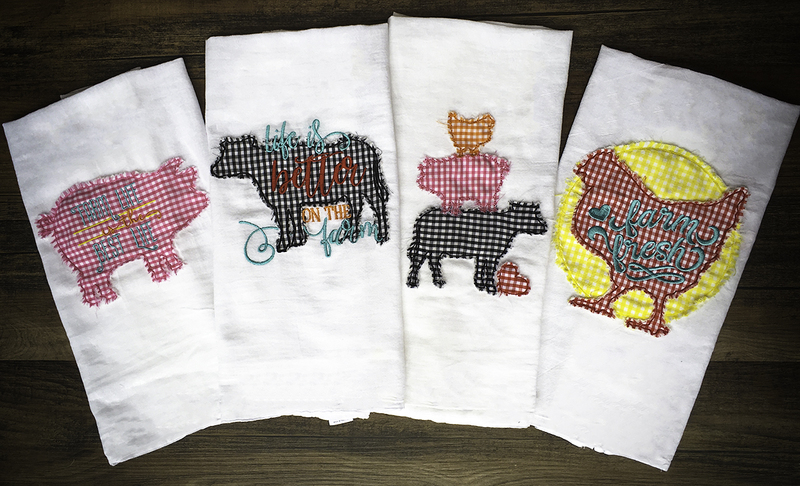 This set includes 12 super cute farm-themed designs in applique including a sheep, a cow, and even an adorable tractor! 4 sizes included: 4x4, 5x7, 6x10 and 8x8. Perfect for all of your farm-themed projects! Check out more Design Spotlight blog posts HERE.